Often left untreated by sufferers, Irritable Bowel Syndrome (IBS) is a collection of unpleasant gastrointestinal symptoms such as constipation, diarrhoea, wind, and abdominal pain. Nobody really know what causes IBS. If your medical professionals cannot find any other anatomical causes for your symptoms via lab tests, x-rays, and biopsies, you will often end up with a diagnosis of IBS. There is some evidence to suggest that emotional factors, diet, drugs, and hormones may precipitate or aggravate GI symptoms. These days, IBS is better understood as a combination of psychosocial and physiological factors. 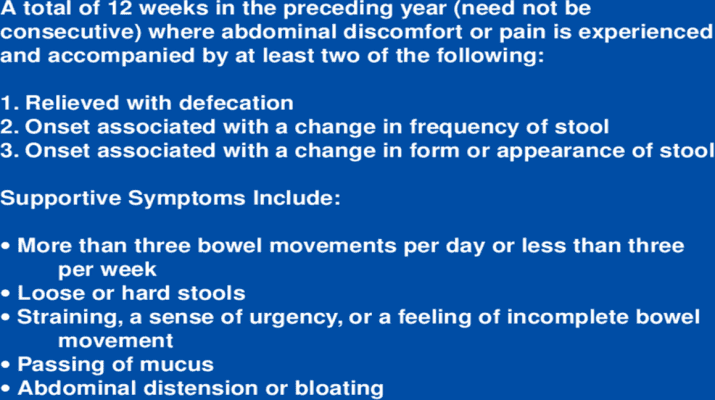 Around one in five Australians are afflicted with “idiopathic” bowel discomfort (i.e. cause unknown). IBS is the most common gastrointestinal disorder in general practice, causing 30-50% of all referrals to gastroenterologists. Two thirds of sufferers diagnosed are women, and recent research points to our DNA (namely variants of chromosome 9) as to why more women than men suffer from IBS. Only a fraction of affected individuals—between 25% and 50%—seek medical care for their symptoms.